Looking to increase workplace productivity? My friend and colleague, Brenda Spandrio, writes some great articles on productivity, organization and time management for The Examiner series. The one that came out recently is all about distractions and focus and productivity...right up my alley of interests! I really like the messaging below, where Brenda talks about the fear involved in the decision-making process. Just last week, working with a client in Menlo Park, CA, we addressed the issue of collecting/identifying more to do than can be done. On one side, it is attractive to have a LOT of stuff around...makes me feel like I'm busy, like I have a lot to do! On the other hand, there is something to being able to clarify the "one thing" I need to focus on to completion. What do you think about the links below? “Why decluttering makes sense in tough economic times” and “Five ways it takes ‘guts’ to be productive”-- Fear keeps us from taking the kind of action that is required for making decisions. But decluttering makes sense as we exercise control over our office environment because the bottom line is that productivity takes courage to make choices and move forward. Where, what, and how do YOU call home? I've been on the road quite a bit lately...the business leaders I am coaching have been busy, busier than ever. Also, I have been talking about the book (The Promise Doctrine) and the importance of keeping our word - in life and at work - in the US and in Europe. Because of that I have kinda redefined what it means for me to "be home." It is more of a feeling of being AT home. So, I stay in familiar hotels (Marriott) and I invite friends and colleagues to go out for runs, coffee or dinner. I spend a portion of each day taking care of my body, my spirit, and my mind. I take it easy when I can, and work really, really diligently when it is time. Sure, I have a few routines, and I try to mimic the ones I would be doing if I were actually in Ojai. Oh, and probably the most important thing about this lifestyle: I make the most of BEING home. Every morning I wake up there is a huge gift, and...I make a point to acknowledge that. In a year, I usually travel (by plane) just over 100,000 miles. Add a few more thousand by car (and a few hundred by bike!) and that's why I consider myself a road-warrior. * Be nice. Today, I met a woman sitting on the tile floor, working on her computer. Offering to get her in to the Admiral's Club, she said thanks and promised to pass the favor on. * Be ready. I've got: PowerBars, an extra camera battery, a book (on my Kindle) and some thank you cards. Oh, I also travel with the files I need for my presentations on a thumb USB drive...in my wallet! * Be honest. I wouldn't dare count the number of times I have packed a suitcase, but I still run into the "overpack" problem. I still need to remind me of just how much (or little) I WILL be able to do on any given trip. * Be open. I've met some amazing (non famous) people by simply making eye contact, saying hello, and asking this question: "What has inspired you lately...like, in the past year?" * (last one) Be a little bit crazy. Every now and then, an opportunity that doesn't make sense shows up...a fork in the road, if you will when it happens, from time to time, consider it. See a show. Go to a game. Eat at that restaurant. Visit the museum. Support the weekend 5K or 1/2 marathon event. Those are some of my learnings...will you share one of yours? 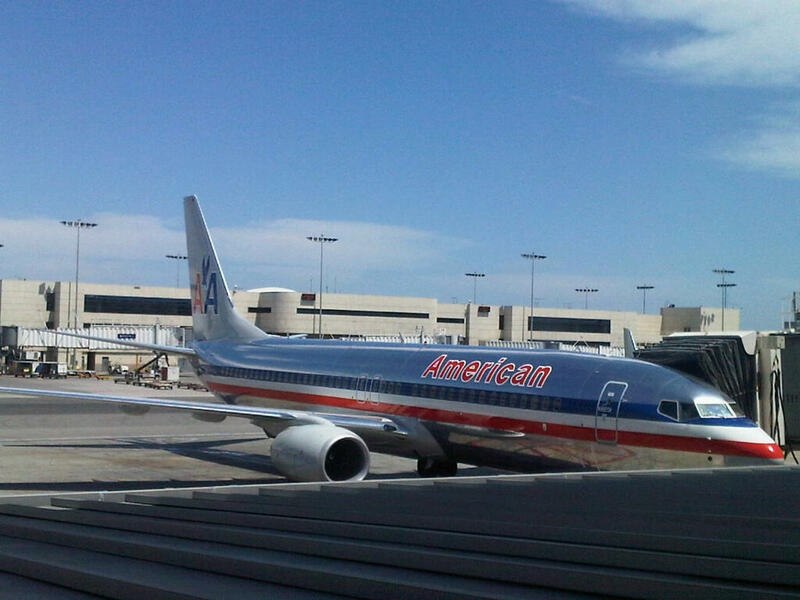 Then, I looked into another ticket: LAX-JFK-LHR and then return from Brussels to LAX. Ready for this? USD $938.00! Earlier this week I was in London, and whenever I am there I make a point to see as much of the city as I can...and, it is easiest to do via the "Tube" and on foot. As all the readers of this blog know, I do carry my camera "just about" everywhere I go (I have it here, while dining in an outdoor cafe in Brussels, Belgium, as I type up this post) and I make a point to capture things that slow me down enough to notice them. Until something is an unconscious habit...it's not. I don't completely remember what came first...the screech of the tires, the blaring horn, the yelling from my friends, or the crying, but I almost got hit by that car. Now, up to then, I promise you that I heard that warning from Mom, "Look both ways..." Nowadays, it's on cruise-control. My "habit" of looking both ways, often twice, has stuck with me since that summer day. So, when I get to London, and I see the gentle reminder to "look left," I always smile...grateful for the little bit of extra support. It's like the universe is out there saying, "Hey Jason, keep on paying attention." Now I'm going move from reminders painted on the street, to the reminders painted in my mind. When I choose to move on/toward a goal, I start hearing, seeing, and feeling the experiences that will ultimately come my way. The long term goals - the client meeting, the next book, the upcoming trip, the triathlon race in July - all require constant reinforcement. It is very important that I put up a sign (actually more than one) as these are emotion-based memories I'm forming, they are significant, timely, and longer-term works in progress. I have made a PowerPoint slide-show - this after reading the book The Dream Manager, recommended to me by a client - of 50 goals/dreams/hopes/things to do (I'm supposed to have a 100... I'm working on it!) and I'm looking at that each day. To up the ante, I have found pictures that I have taken that go along with each goal. It lets me know that I'm "close" and that I will be able to get there. Ok, your turn, how do you remind yourself where to look? Many of the company leaders we coach are as focused as ever on the "retention" aspect of their human capital. Recognizing the absolute power of an engaged and aspirational workforce can be considered the life and blood of a successful organization. It is one thing to be big, be known, and attract talent; the ability to engage, retain and GROW that "new hire" may be the most significant aspect of a sustainable organization. What would it take for you to surround yourself with those kinds of people? And, more importantly, what would be the effect of spending time with the world's most engaged? While I was there years ago I got to speak with two Olympic hopefulls - since then, I have coached a gold medalist, run with another medalist, and read countless pages in books about elite training and performance. In my seminars, I coach participants in many of mindset of a focused athlete. We talk about the power of purpose, the reason for setting large goals, and the importance of reflection, achievement and mentoring along the way. As you finish reading this, and are about to move on to your next "performance," ask yourself: "What will it take to give what I'm about to do 100% of my attention for the next short block of time?" And, should you choose, leave your answer as a comment so I can suggest a book, video, or website with potentially useful information for you. "The secret to (my) success: Ask." Yup, that's it! I know I don't know as much as the group I spend time with. Collectively, they are the ones that I turn to for ideas, advice, and a gentle (from time to time) nudge in a new direction. Oftentimes, it is that bit of wind beneath the sail that makes the difference we need to experience the next level. Write a list of 100 things you'd like to do. Sound easy? Then, add a challenge: Write out the goal and find a picture that goes along with it. Put the words next to the pictures, and look through the "inventory" once a day...for 31 days (in a row). As you go along, ask the people you know for ideas, advice, and gentle nudges. How much (content) are you putting in? Recently, I worked with a client to reign in the areas of focus she was maintaining. It seems that there was a cycle of putting "too much" (her words, not mine) stuff in - in her mind, on her desk, in the email and voice mail inboxes, even web pages to view "later" - and then stressing through late nights and weekends to get back to clarity. * For the next 5 hours, track your use of focus (not time) in 30-minute segments. Whenever we work together, I encourage our clients to study first what the habits and routines are that they already have in motion...then, we address those that aren't as time-effective as they could be. *What would you do with an extra 20 minutes of time to focus every day? Read a book a second time through...better than the first. I first "met" the author when I accomplished one of MY dreams: To ride the CA coastline. One day of the 350+ mile ride, I listened to his book, "The Seven Levels of Intimacy." It was a life-changer. Now, reflecting on this book about "managing" dreams, I'm even more a fan. Mr. Kelly has a way of writing that is candid, significant and action-oriented. + If you knew how to succeed, would you do it? 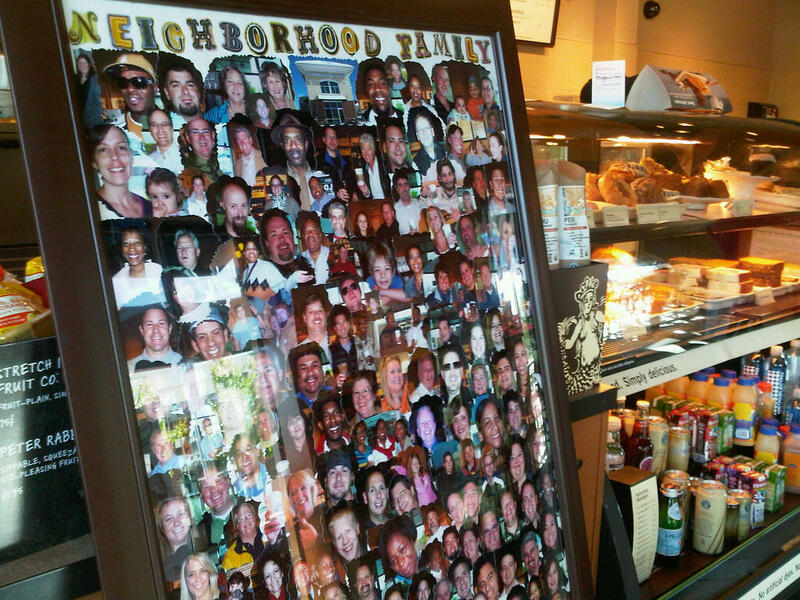 Loved this collage at a Starbucks in Raleigh. What a way to bring the community together, and introduce each other to their neighbors. I've often wondered what might happen if stores/boutiques did to a community spotlight on locals - would people go in, and bring their friends in, to support the place that supports them?